Whether by phone, mail, fax, or email, our Honolulu and Maui stores are open during business hours from 8:00am to 4:30pm Hawaii Standard Time, Monday through Friday. Our Ventura store is available from 8:30am to 5pm Pacific Standard Time Monday through Friday. We are open Saturdays on Maui from 9:00am to 1:00pm, in Honolulu from 8:00am to 12:00pm and the second Saturday of every month from 9-3 in Ventura. Wahiawa is open 9am-4pm daily, closed Saturdays. Having trouble finding a particular product? 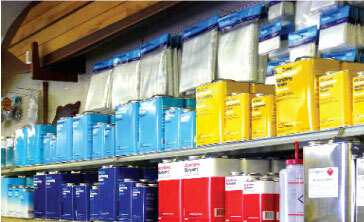 Fiberglass Hawaii’s product inventory exceeds what is available online. Call our tech support line for those hard to find items and let our experts help you get your project completed. © 2007 Fiberglass Hawaii. All rights reserved.